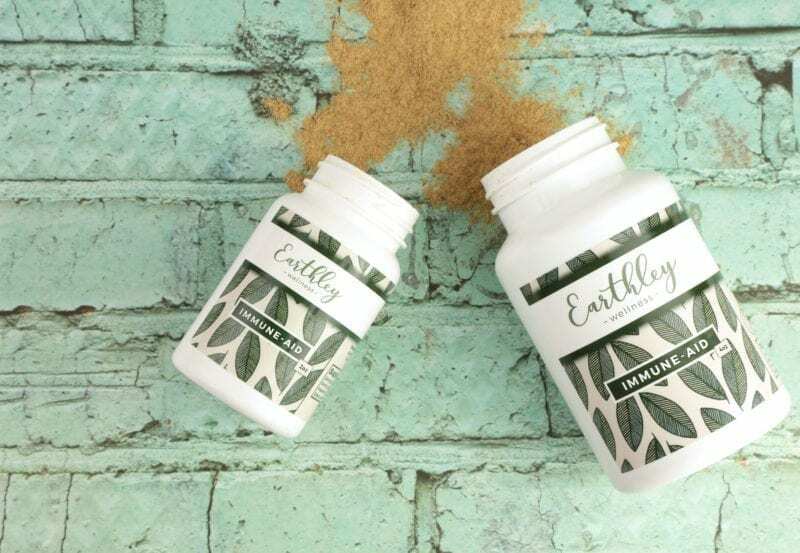 Earthley’s whole, natural vitamin C powder is made from organic berries (including camu camu) and dried orange peel. Delicious natural herbal supplement contains 375 mg of vitamin C per teaspoon which is 600% of the daily value! Does not contain common allergens or fillers — our vitamin C powder is 100% real food! If you’re looking to add more vitamin C powder to your diet, look no further! 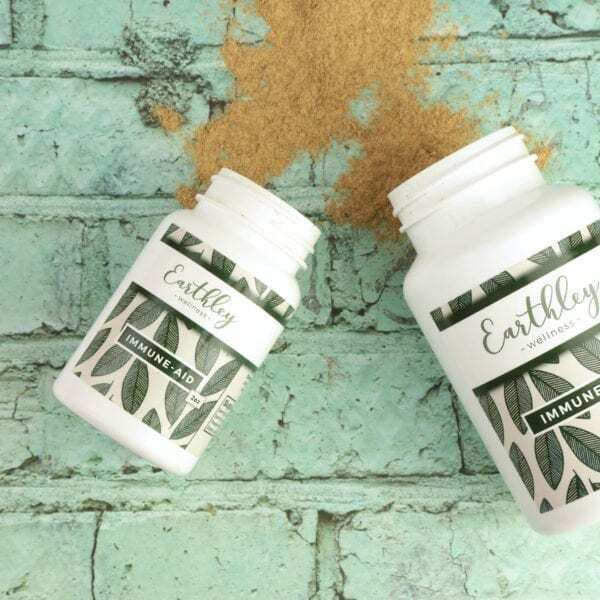 Earthley’s natural vitamin C powder is made from two of the highest sources of vitamin C: camu camu and acerola berry powders. 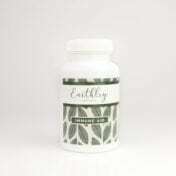 Our natural vitamin C supplement also contains synergistic nutrients and bioflavonoids. Other nutrients found in this powder include iron, B-complex, phosphorus, calcium, and more. 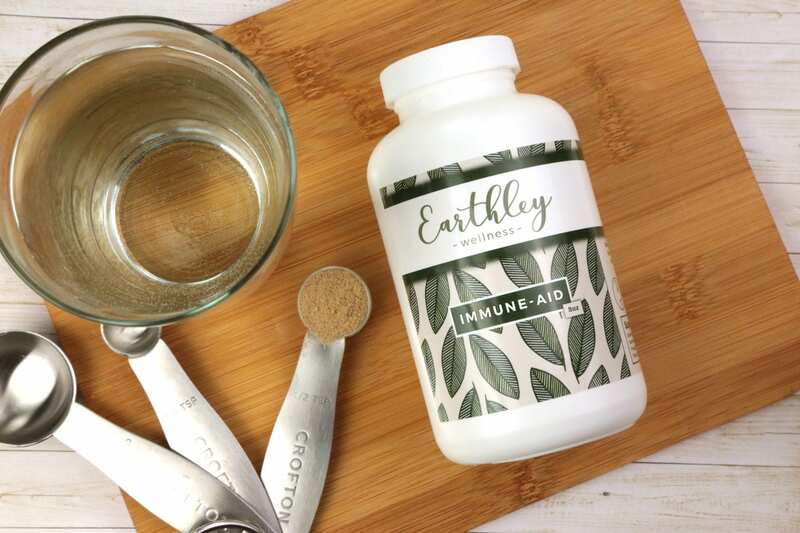 How does Earthley make the cleanest natural vitamin C powder around? First, we’ve chosen camu camu and acerola berry powders, which are the two highest vitamin C sources available. We blended these powders with organic orange peel powder — another good vitamin C source. We finish it off with just a pinch of natural, unprocessed stevia (for taste). The result is an amazingly healthy and completely natural vitamin C powder. Buy yours today, and start experiencing the many health benefits vitamin C can provide! A single teaspoon of our food-based vitamin C powder contains approximately 375 mg of vitamin C, which is 600% of the daily value! Take alone, or add to a smoothie for a powerful nutritional boost. Our natural vitamin C powder has no additives, fillers, colors, or flavors and is made with organic berries and dried orange peel. It’s pure, 100% food. 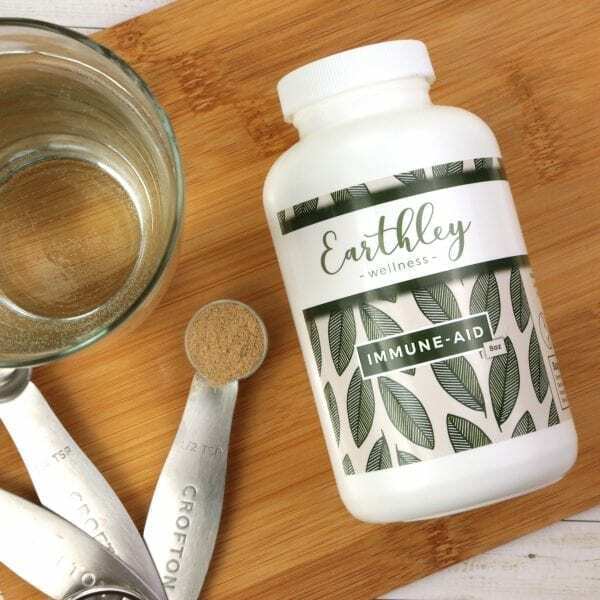 Earthley doesn’t compromise when it comes to health! Unsure how much to take? 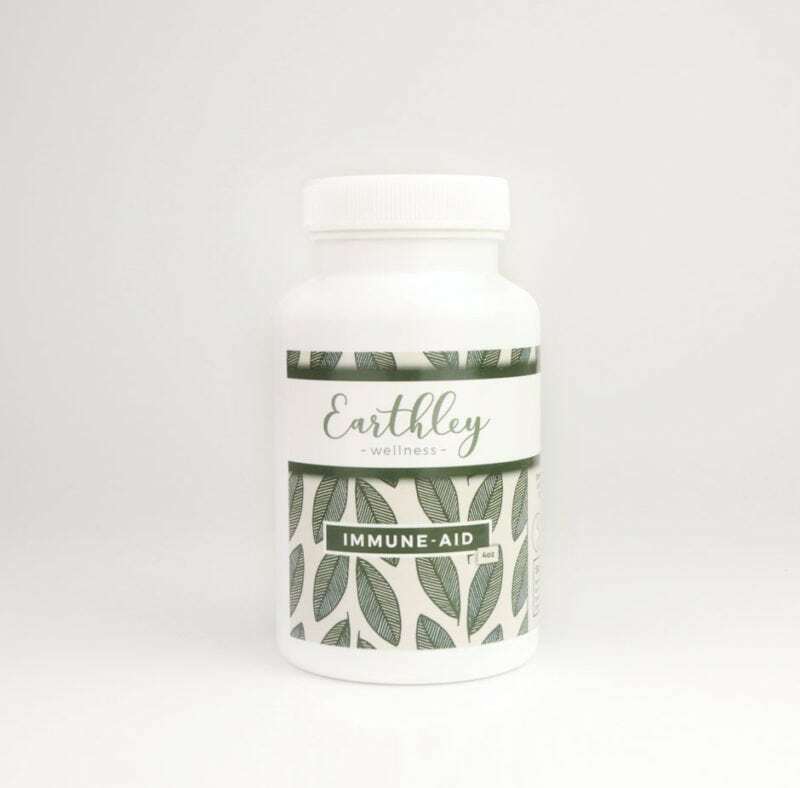 We don’t recommend mega-doses on a daily basis because it can cause imbalances in other important nutrients. Most people will only need ¼ – ½ teaspoon per day, making this natural vitamin C powder a tasty and cost-effective option. Dosages may be increased during illness or for pregnant women, to bowel tolerance. (Start with 1/4 – 1/2 tsp. every 2 hours until tolerance is reached; continue for a few days until symptoms subside). Shelf Life: 1 year. Safe for people over 6 months of age. I’m a big fan of this Vitamin C powder! The taste is not overpowering and my little one likes it enough to drink with water. It is a little grainy which doesn’t bother us, just be prepared for it to not dissolve completely in water. We haven’t been sick since we started taking this! I bought a commercial brand and wish I would have bought this one first. I like the clean ingredients in this and know that it’s safe and pure. Love the powder form and easy to mix in drinks. Now they need one for vitamin D! I love that this is a natural source of vitamin C and has other nutrients as well. I also really like that it’s a powder, it’s great to just add a teaspoon to my morning smoothie. Excited to add this to my daily regimen especially during this flu season. I’m using this in place of a probiotic. Taste isn’t fabulous but ingredients are awesome and that’s what is important here. This is easy to take, and knowing that it comes from Earthly, I feel confident that it works. We are adding this to our illness prevention routine! Good, easy to take, high quality vit c. Thanks!! Tastes great! Kids like it too, which is a plus for sure. I love the ingredients in this powder, all naturally derived. I just placed my order and can’t wait to try it! This is super gritty and does not fully dissolve when mixed. I tried with juice and with hot tea. That being said, I will gladly take that over the added crap commercial powders add. I cannot believe how well this works. I have used it three times upon the onset of illness and I have woken up the next day with no more symptoms. The taste is fine and it’s easy to drink. I will be stock piling this product! My 2.5 year old and I both love this, and have not had even the hint of a cold since we began taking it! Get the big bottle you’re going to want it! Love this for daily use and that it is a whole food product. It doesn’t dissolve because it is food so if that bothers you a smoithie is a great way to take it. We just put it in water or orange juice. I LOVE this vitamin C powder! I couldn’t find one that wasn’t filled with sugar, gelatin, or synthetic ingredients. Both of my kids take this with NO problems. I mix it in their drink or applesauce and they eat it right up! This is such a helpful tool to keep on hand for times when anybody starts to come down with something! My 3 year old loves it too. It tastes mildly like iced tea when you mix it with water. It will definitely be a staple item in our medicine cabinet. I really like this one. I put it in smoothies and just discovered it’s quite good in plain yogurt. Gives it a bit of a lemony flavor. I use this almost every day and so far have not gotten sick! I mix it with a bit of water or juice then chug it. It stays thick but doesn’t taste too bad especially in juice. My kids didn’t like this when mixed with water or even in a little juice, but I added it to homemade applesauce, and it was a hit! I’m grateful for another natural way to get more vitamin C into my kids to help fight their colds. Really like this stuff! Tastes pretty good when put into milk or juice or just about anything. We use it when we feel a cold coming on or just as a daily preventative most times. My only complaint is that it doesn’t mix in well with things. For example, mixing into one of their drinks in a sippy cup, the last bit they don’t get, usually contains a good bit of the powder. I am a fan of this powder. It has a mild taste and blends pretty well even in just water. I take it as an immune booster. Definitely worth the money spent for this product! My daughter and I tried this in water and didn’t like the taste or texture. However, we mixed this in with organic applesauce and loved it! Once it was mixed in, we no longer had any texture issues and we could only taste a little bit of the flavor. Now we enjoy it! Vit C is such an important vitamin to take, and I love this one and the ingredients. It has a mild taste and I add it to elderberry and immune booster.